Imagine a lake made entirely of red-hot lava. How about a cloud of searing hot rock and dust traveling more than 450 miles per hour above a volcano? These are some of the dramatic results of volcanic eruptions. Volcanoes come in many forms – rift volcanoes, which form in places where the Earth’s plates have moved apart; hot spot volcanoes, where lava spews from a simple crack in the Earth; or stratovolcanoes, where thick lava flows slowly from a cone-shaped volcano. The most dangerous volcanoes in the world are those that have been quiet for hundreds of years. People feel safe around these volcanoes and build homes and farms nearby. Then when a volcano becomes active again, disaster strikes. In 1783, over 140 craters in the Laki rift in Iceland began erupting. 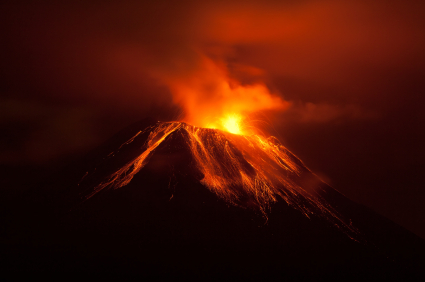 The eruptions went on for 8 months, spewing lava and toxic gases. Over 9,350 people died from starvation or from poisoning – one quarter of Iceland’s population at that time. The summer of 1783 in Iceland was called the “sand-summer” because of the ash fallout from the Laki rift eruption. The lava flows very slowly from a stratovolcano and sometimes plugs the volcano. This is what happened in Krakatoa, Indonesia in 1883. The volcano actually exploded because of built up pressure, causing tsunamis and pyroclastic flows. 36,417 people died. The Krakatoa eruption caused a huge explosion. The sound was reportedly heard from up to 3,000 miles away and is considered the loudest sound ever heard. 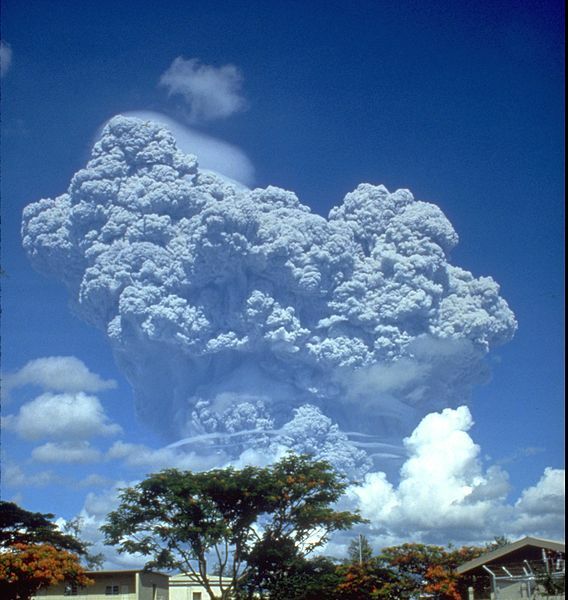 In June, 1991, Mount Pinatubo erupted and the top of the volcano blew off, spewing 2.4 cubic miles of ash and rock. The ash cloud and pyroclastic flows covered the landscape. A layer of sulfuric acid surrounded the entire Earth. 800 people were killed. Just before Mount Pinatubo erupted in the Philippines about 30,000 people evacuated to the Amoranto Velodrome, a sports complex, in Quezon City and others relocated to Manila as well. Can you imagine running from a mountain? The explosion caused by the eruption of Tambora in Sumbawa, Indonesia, was the largest volcanic eruption ever recorded. People over 1,200 miles away heard it. Gas and ash from the volcano spread worldwide, clouding out the Sun. People called 1816 the “year without a summer.” Crops couldn’t grow, causing the worst famine in 100 years. 60,000 people perished. 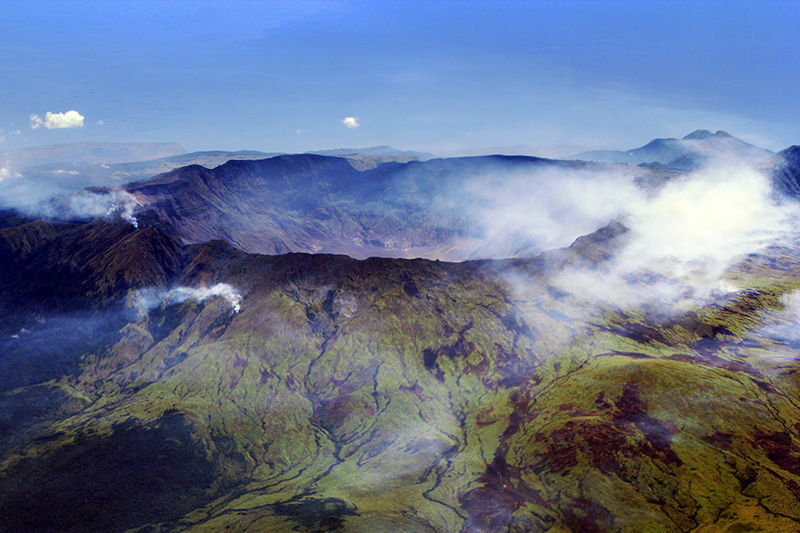 Mount Tambora was reduced by 1/3 of its height by the eruption in 1816. Probably the most famous volcanic eruption of all time is Vesuvius, in Naples, Italy. 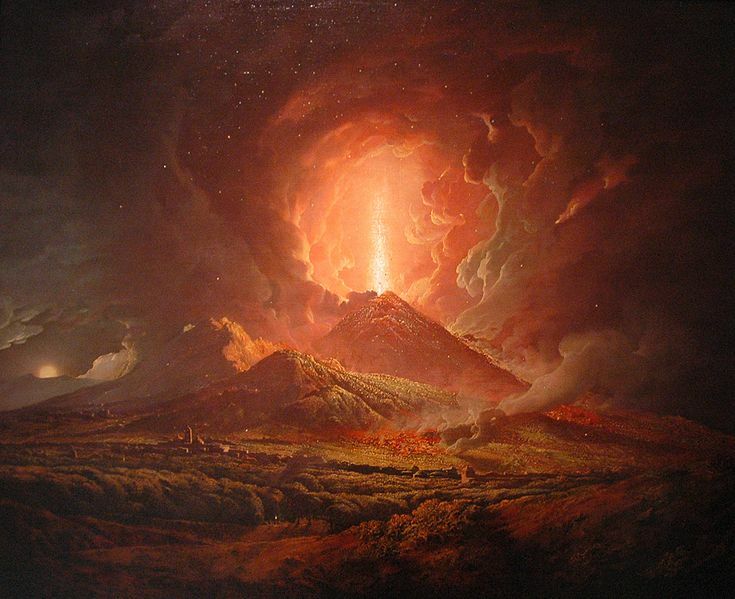 The eruption occurred during the Roman Empire in 79 CE. Ash flows covered the Roman towns of Herculaneum and Pompeii, killing everyone in its path. The remains of Vesuvius have been excavated. Mount Vesuvius is the only volcano to have erupted during the last one hundred years on the European mainland. Pyroclastic flow: a flow of ash and hot rock that can rise over 2 miles in the air above a volcano at speeds up to 450 miles per hour. The flow is deadly in the moment and can cause long-term air pollution. Tsunami: a fast, intense surge of water caused by plate movement beneath the ocean. Question: How hot is a pyroclastic flow? Answer: A pyroclastic flow is typically 600 degrees Fahrenheit or more. Ouch! Enjoyed the Earth Science for Kids about the Most Lethal Volcano Eruptions info? Take the FREE & fun about the Most Lethal Volcano Eruptions quiz and download the FREE Most Lethal Volcano Eruptions worksheet for kids. For lengthy info click here. Declan, Tobin. " Volcano Eruption Facts ." Easy Science for Kids, Apr 2019. Web. 21 Apr 2019. < https://easyscienceforkids.com/all-about-the-most-lethal-volcano-eruptions/ >.